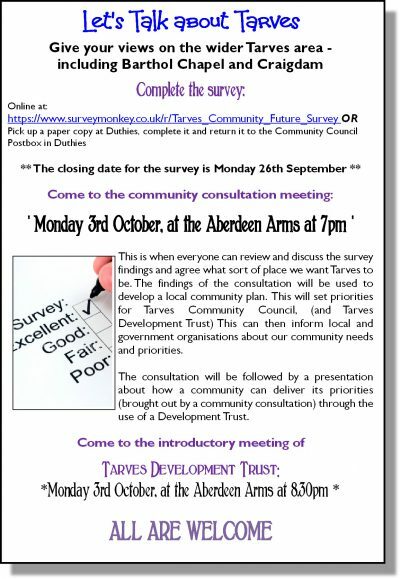 Tarves Community Council are running this community Consultation, to provide evidence of what local people are needing and wanting. This is used to help guide Aberdeenshire Council, the NHS and other bodies in decisions which have an impact locally. The community council have helped in the setting up of a Tarves Development Trust, a community company that will be a way to deliver on projects, such as a new use for the old Doctors surgery.